I like to keep track of all the scholarly work on Russia in the legal field. So, periodically I’ll cover some of the more interesting and recent articles published in American law journals. All of the articles can be accessed with a Westlaw account or, in some cases, can be purchased individually or accessed free of charge online. 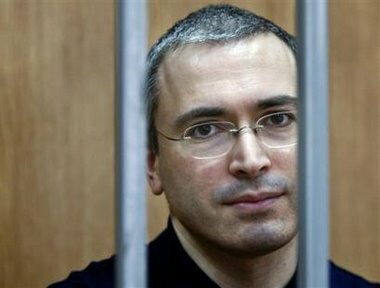 In this article, Ms. Kvurt outlines the defense of selective prosecution in Russia in the context of the Khodorkovsky case. Kvurt, however, avoids the question of whether Khodorkovsky faced selective prosecution, and instead focuses on both the need for such a defense in Russia and the history and present state of that defense in the United States. Ultimately, Kvurt concludes that Russia should adopt a selective prosecution defense, but with a lower burden on defendants than in the United States. I have to give this article a thumbs down for two reasons: approach and reasoning. At first glance, Kvurt’s approach would seem to be determining whether Russia should adopt a selective prosecution defense based on the Khodorkovsky trial – i.e., if Khodorkovsky was selectively prosecuted, then such a defense should be adopted. Immediately after reciting the ‘facts’ of Khodorkovsky’s imprisonment and trial, however, Kvurt states, “This not e will not attempt to determine whether Mr. Khodorkovsky has in fact been selectively prosecuted” (Kvurt, 134). I’m sorry, but if determining the need for a given defense is purportedly done in the context of a specific trial, it would be helpful to determine if that defense could have been used at that trial. For me, Kvurt’s argument would have been much more persuasive had she actually assessed whether Khodorkovsky could have prevailed with a selective prosecution defense. In not doing so, Kvurt proceeds with a presumption that Khodorkovsky was selectively prosecuted, thereby relieving her of some heavy lifting indeed. Next, Kvurt looks at the selective prosecution defense in the United States and (uh-oh) concludes that it is almost never successful and that Khodorkovsky would probably have been convicted in the U.S. (Kvurt, 150). Kvurt even cites a U.S. Supreme Court case where the Court held that selection for prosecution “based in part upon the potential deterrent effect on others serves a legitimate interest in promoting more general compliance with the tax laws (Kvurt, 149; my emphasis). Thus, prosecuting someone like Khodorkovsky, because he is a billionaire who will generate widespread media coverage, is legitimate because it will likely encourage “more general compliance” with the law. In order to rescue her argument from the facts, Kvurt quickly adds that the “fairness of the American judicial system would have probably resulted in a verdict of not guilty” because Khodorkovsky actually did not violate any laws (Id.). What’s that? I thought we were talking about selective prosecution. Now, the article seems to be about Khodorkovsky’s innocence, even though Kvurt offers no evidence to support that contention. Finally, Kvurt argues that Russia should adopt a selective prosecution defense, but not the one that exists in the United States, because it “rarely succeed[s]” (Kvurt, 167). She supports this argument by citing vague notions of “[b]road prosecutorial discretion and its social acceptance [that] are ingrained in American law and are consistent with its adversarial system of justice” (Id.). Instead, she argues that Russia should adopt a “totality of the circumstances” standard for determining whether selective prosecution has occurred (Id.). As the name implies, a totality of the circumstances standard means simply that the judge looks at all of the facts together to determine whether an evidentiary burden has been met. Adopting such a test for a defense like selective prosecution would be a bad choice for any country, including Russia. Prosecution, by its very nature, is selective because prosecutors have a finite amount of public resources and an infinite number of crimes from which to choose. Thus, the selection process requires the prosecutor to prioritize some criminals over others (e.g., the drug kingpin over the corner dealer). And, as mentioned above, the government may choose a criminal based on his or her wealth or notoriety because doing so serves the legitimate purpose of promoting general compliance with the law. If the evidentiary standard were reduced to the totality of the circumstances test, then a defendant would not even have to prove, as they do in the U.S., that an impermissible motive led prosecutors to select them. Finally, I fail to see how giving Russian judges more authority (and the opportunity to make aribtrary decisions) will increase the public’s faith in the judicial process when they already do not have any faith in judges’ impartiality. My ‘totality of the circumstances’ assessment of this article is that Ms. Kvurt initially assumed that Khodorkovsky would be able to prevail with a selective prosecution defense here in the United States. After realizing, however, that he could not meet the [justifiably] strict burden, she not only claims that Khodorkovsky would have been found innocent here because he did not commit any crimes but also invents out of whole cloth a ‘totality of the circumstances’ test for selective prosecution that Russia should adopt. My question for Ms. Kvurt is why she did not simply write an article entitled, “Free Mikhail Khodorkovsky”? There is nothing wrong or illegitimate with the view that Khodorkovsky (a) is innocent or (b) was selectively prosecuted. Advocacy of either of those views, however, should not be cloaked in legal scholarship. Furthermore, Kvurt fails to make any agrument regarding either of those claims, but rather uses them as presumptions throughout her article. Ultimately, the reader is not left with a clear vision of how a selective prosecution defense would work generally in Russia and specifically in Khodorkovsky’s case. This entry was posted in criminal law, Khodorkovsky, law review. Bookmark the permalink.